Episode 6 is up on YouTube! So since I last saw you we have survived…. The sale of our house, so we are all ready to go nearly to the farm!! James handing in his notice so he will be finished by the end of August for us to move to the farm! 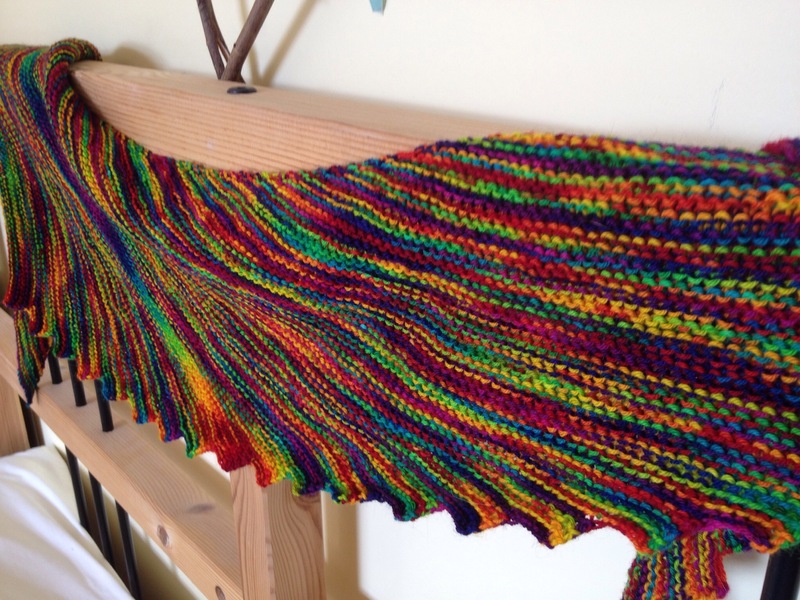 I have given my sock yarn blankets a bit of love recently too…. Adding some more leftover colour ways. Back before Christmas I made Zoe of Pins and Needles and Jen of Owl About Yarn a Sockhead hat each, by Kelly McClure using yarn I had purchased on the Great London Yarn Crawl! I have been giving the curtains a blast the last month or so!!! I have finished the kitchen curtains…. 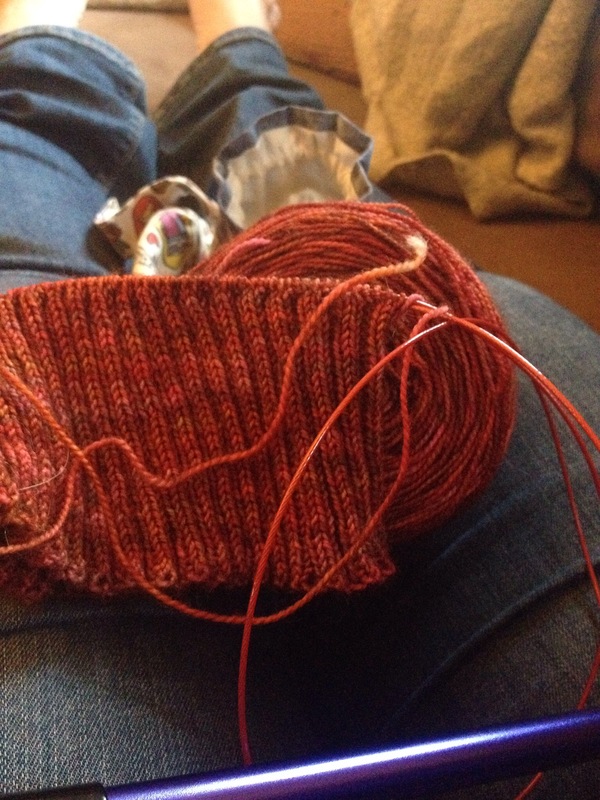 I haven’t managed to sew any more clothing but…. Next weekend I hope my over locker will have a little trip to the farm so that will help matters there! I have bought some fabric from the Fabric Godmother…. I intend to make a linen apron dress for myself using the simplicity pattern I bought a while ago and the jersey will hopefully make me a lighter weight Coco dress!! And maybe an Agnes top, I might even knock the colourful sleeves off the other Agnes I made in the thick heavyweight slightly shiny jersey that I’m still not sure of and add them to the lighter weight jersey top! I have also acquired a lovely new crafty thing from Zoe of Pins and Needles too!! A lovely needle felting brooch kit and a foam pad…. So I’ll have to have a stab at that! Final acquisition then is a Knit Tea Retreat mug!!!! If you don’t follow the ladies they have set up newsletters, an Instagram account and a blog under the name Knit Tea Retreat, get over there, get following and come along!!!! I have been working hard in my first week since finishing work and the last week that Sir was in nursery….. Tyddyn Bryn is no longer a WordPress.com site its Tyddyn bryn.com!! Head over and have a snoop, there is often additional content over there over and above the podcasty stuff! I’ve also had a bit of site revamp, thanks to Jen for figuring out how and showing me to add pages/menus that auto link places!!! I have skeined up some of the lovely alpaca yarn I have had spun up from the fleeces I had…. And I have written up a pattern….. For my Broadleaf hat…. 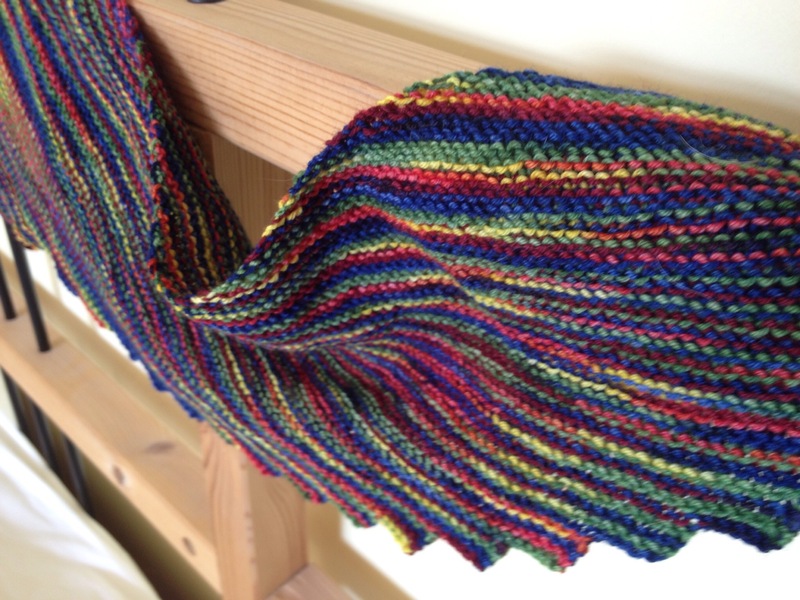 This pattern is about to wing its way to the lovely tech editor then hopefully will be ready for release!!! I intend using some of the odds and sods of the alpaca to knit up a broadleaf hat sample, so that I get a good idea of the yarn and how it knits up before I put it up for sale and so I have a sample of the hat!! Having gifted the original two Christmases ago!! James has planted some veg plants…. Courgettes, tomatoes melons etc in the newly acquired veg patch….. And is now facing the battle of the weeds!!! Can’t wait to be there full time to be able to keep on top of things!! My dad has bought us a new piece of kit….. But that’s for another time as its not been delivered to us yet!!! All the curtain poles are up….. Shelves are up….. Three more blinds have been ordered for the upstairs Windows….. We have started to hang a few pictures….. James is looking into how his workshop is going to be built and where….. I have contacted an architect about sorting out the tin but and converting it into a cabin…. Each time we go down more and more things are travelling down with us…. Last couple of times it has been all my teaching resources etc!! Thank goodness for the expedit units!!! Or Kallax as they are now called! We need to get one more of them!!! Finally, don’t forget you can find me on Intagram, Twitter and Etsy as Tyddyn Bryn, there is a Facebook group Tyddyn Bryn, and pop over and have a snoop at the new Tyddyn Bryn dot com see what you think of the new layout, linkies etc!! !